Hi Guys, Hope You are Doing Well !! Wondering Which #freshie Is This ??? 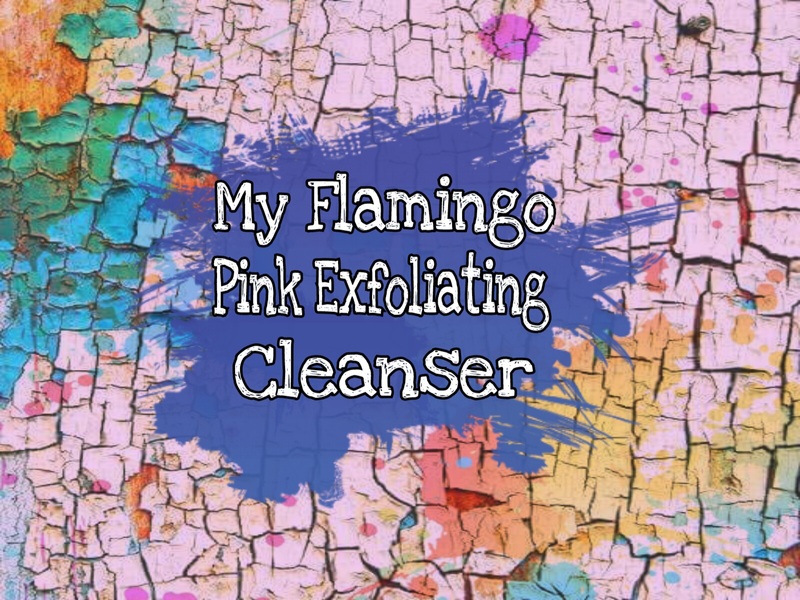 It’s My Flamingo Pink Exfoliating Face Cleanser !! ?? I’ve Been Using This Face Cleanser from past One Week & Already Loved The Way It Treats My Skin !!! Now Question Is How To Make These Customised Freshies ?? Well I Am Here To Give A Detailed Review About The Brand & Their Products !! It’s Panchkula ( Haryana ) Based Indian Beauty Industry Which Delivers Fresh Products At Your Doorstep , Whenever You Customised ??? &&& They Believe In All Things Fresh Which Makes Them Different from Others !! Freshistry Brings for Us A Wide Range Of Products From Which We can choose for us, whatever we want !! It Costs For Rs: 345/- per freshie & If You Are Adding Another Fresh Potion if Costs for Rs. 50/- Extra !! Comes in a 120 gms black round tub pack !! But Yeah Right Now They Guys Are Running With Mothers day Sale Where You Can Save 20% of Your Money !! How It Looks From Inside ! It’s A Gel Based Face Cleanser With Gentle Exfoliants !! How I Curate My Freshie !
? Firstly My Skin Type I.e. ?We Can Choose Another Fresh Potion Too By adding , they guys Sent Me A “Calendula” & “Basil” Herbs Fresh Potions ! – I Choose Flamingo Pink ( I Love All thing pink ) ?? & My Name Written Is Cherry On The Top’ !! Guys it’s Completely Optional ! If You Are Choosing Another Fresh Potion According to Your Skin Types or Requirements , U Just Have To Mix 3-4 drops of the same to Your Product & Voila ! Your Freshie Is More Effective like ever !! And For More Details You Visit Their Website like Now ??? Now The Questions in my mind !! ??? Whether I will repurchase it Or Not ?? Yes Definitely I Would Love To Customised More Freshies For Me & MY Family & Would Highly Recommend To Try These To All !!! My Rating Is ⭐⭐⭐⭐⭐ 5 Star To Brand & A Big Thumbs Up ? Listen Guys, Its A Perfect Gifting Option Where You Can Make Some Personalised Stuff For Your Dear Ones !! Hop in Right now At Freshistry ‘s Official Website ..
& Curate Your Own Customised Jar Of Happiness !! ??? So Bye For Now !! & As Always Keep Showering Some Love & Take Care Of Yourself !!??? #freshies #freshproducts #facialcleansers #facecleanser #bbloggers #beautyblogs #beautyhack #instapic #instapost #postoftheday #sweetsunshineblog #beautybloggers #productphoto #productphotography #glowyskin #pamperingformyface #shinynglowing #instalike ?